Google will have to remove certain websites, says Canadian court. As far as landmark rulings go this is one of the biggest. At least, if we’re only talking about Canada. Or even the North American continent. 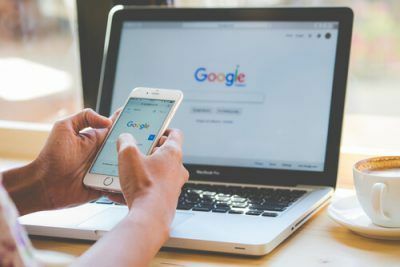 The respectable Supreme Court of Canada has directed the search engine giant Google to remove some of its search results and do it worldwide. These must-be-removed search results belong to a company and the supreme court of Canada wants Google to remove those websites from its search results. Just for clarity’s sake, the case has little or nothing to do with copyright violations. According to IFPI, the music industry group, the ruling will have implications on copyright infringers as well. They think, the ruling clearly sets precedent for future copyright violators. Well, IFPI thinks that when search engines like Google like to infringing content on their search engine results page, the courts of the country can force these search engines to remove those results. And remove them on a permanent basis. And that too on a global scale. Of course, Google didn’t have to deal with courts and such decisions before. But that doesn’t mean others had an easier time either. Who can forget the case Equustek Solutions Inc v. Jack back in the year 2014? The case involved two Canadian entities. Both of them accused each other of stealing intellectual property. And then using that to manufacture two different but competing products. You may legitimately ask now, what does Google have to do with the case? We know that Google did not have anything to do with the case involving two Canadian entities. Then how did Google manage to embroil itself in the Equustek Solutions case? Well, it turns out, Equustek Solutions alleged that Google helped the defendant by helping it through its search engine by sending traffic to its website. The website in question is the one that is operated by former Equustek employees. Equustek Solutions claimed that the website sold unlawful products because they came into existence because of copyright violation. What did Google do then? It did what it should have done. Google removed the links to the website in question from its Canadian version of search engine Google.ca. And Google did so voluntarily. Google may not have helped piracy. But it helped people to engage in piracy. The problem is Equustek Solutions demanded more punishment. Or as some put it, a more comprehensive form of compensation for Equustek Solutions. The company wanted a more strict response. And the courts gave it one. 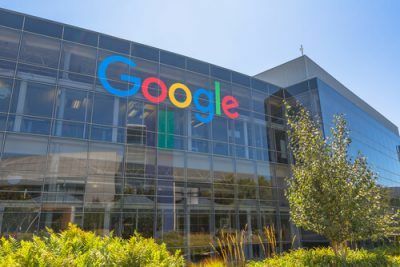 A court in British Columbia, handed down a ruling just recently, where it ordered Google to remove the copyright violation websites’ product listings. The court said that Google must remove those from its central database. The central database is located in the United States of America. Most of our readers would know that if Google removes something from its central database then the action has worldwide implications. In other words, the court ruling affected search results all over the world. Because it wanted to see if it could get a more favorable result. The search engine giant argued that the company did not have any servers that operated in British Columbia. Google also said that the company didn’t even have any local office in operation in the given area. Moreover, the technology giant questioned the court’s decision and argued if the injunction was acceptable and enforceable outside the borders of Canada. Of course, the court in British Columbia gave little weight to Google’s arguments. Instead, the Court disappointed the technology behemoth. The court came out with its ruling in June 2015. And decided that Google did have businesses set up in the country’s region. The court also found that any decision regarding curbing copyright infringements was a good one. Moreover, the court dismissed Google’s suggestions that its orders could cause problems overseas. The court gave its opinion and said that any ruling against copyright violation did not have anything that any other overseas nation could object to. 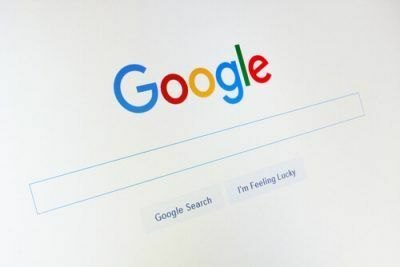 Justice Groberman of the court wrote back then that the plaintiffs had established, in his view, that a court’s order which was limited to Google.ca search site would have proven ineffective. The judge said that he was satisfied and there indeed was a bias, in this case, for increasing the injunction’s scope to have a worldwide effect. Google Did Not Give Up Easily. Google held its position that it provided freedom of expression. The court said no. The Canadian court’s decision did not deter Google. And it decided that the company would take the case a bit up. Like, all the way up. More like, all the way up to the Canadian Supreme Court. The company said that it hoped that the Supreme Court of Canada would limit the lower court’s injunction scop. Google also argued that the injunction in its current form violated something basic like freedom of expression. Needless to say, the Supreme Court of Canada did not agree with Google. And decided that all the company’s efforts to get a more favorable decision out of the court would fail. The court’s decision came out on Wednesday. And the judges decided in a 7-2 majority decision that Google indeed played a big part in the case. The court branded Google as a determinative player. It also said that the company’s search engine facilitated the harm that came to Equustek Solutions. Justice Rosalie Abella wrote that the court’s order was not to remove speech. The judge wrote that the court’s order also did not go against speech that engaged in freedom of expression values. Furthermore, Rosalia said, the court has given an order that wants Google to deindex a website. A website that has several counts of violation of copyrights. And several court orders have determined that the website has indeed engaged in copyright violation. Rosalia Abella further wrote that the court has not, to date, accepts that freedom of expression required the inclination of unlawful sale of services and goods. Where Does That Leave Google? Google will now have to delete the required websites. And it will have to do so on a global basis. But that’s not the big question. The big question is something else. Mainly, what will happen if some other players from other industries try to attempt the same and apply the court’s ruling to their own business sector? Well, the good news is that we will not have to wait long to find that out. Because someone has already done that. And it hasn’t taken long or has it. IFPI, or The International Federation of the Phonographic Industry, has come out and supported Equustek Solutions’ position. The case has indeed run a long time but IFPI has welcomed the court’s decision. The International Federation of the Phonographic Industry has also said that the search engine giant, Google, must start to take on the responsibility. It also said that Google has to do more to ensure that it doesn’t facilitate, directly or indirectly users to go to websites which are illegal. Frances Moore, who is the CEO at IFPI, that Canada’s highest court’s decision was good news. The CEO also said that the decision will go down very well right rights holders all over the world. In Canada as well as the rest of the countries who have such copyright problems. Frances further said that while this case did not involve music piracy, search engines played a role there too. Moore said that search engines had a prominent role in guiding users to copyrighted and illegal content. And most of the time, that illegal content included sites that provide users with illegal music for free. IFPI’s CEO also said that decisions such as those of the Canadian court will play an important role in the future. Frances said, if we wanted the digital economy to grow and reach its full potential then everybody must play their part. And that includes search engines. Moore said that they must play theirs by making sure that their online services are not abused. In other words, Google must ensure that users don’t use its search engine to download copyrighted material. And perhaps that makes sense too. Google is such a global player in everything that happens on the internet, that it has to do more. It can start by blocking users from engaging in infringements of intellectual property rights, Moore said. The President and the current CEO of Music Canada, Graham Henderson, also welcomed the ruling. For those who don’t know, Music Canada represents a lot of powerful clients. Music Canada appreciated the Canadian court’s ruling and Henderson made quite a length statement as well. Henderson said that the court’s decision confirmed what many wanted for years. Mainly that online service providers must do more. And should stop turning a blind eye to infringing and illegal online activity that they inadvertently facilitate. Henderson also said that on the contrary, search engines and online services had an affirmative duty. This duty required of them to take all the necessary steps to block piracy. And save the Internet from evolving into a huge and unsightly black market. 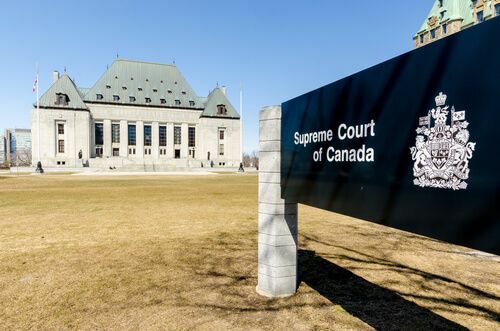 Is There Someone Who Has Condemned The Supreme Court of Canada’s Decision? It is a known fact that for every approving voice such as that of Music Canada and IFPI, there is a counter one. Many have raised some valid concerns over the ruling. Mainly, over the scope of the ruling rather than anything else. These “negating” voices say that the court’s ruling has the potential to create many forms of political and legal minefields. Michael Geist, who is a professor at the University of Ottawa, ha raise, what some consider, as valid questions. Basically, he says that the court’s ruling will lead to a number, and rather a wide range, of interesting scenarios. Geist then talked about a hypothetical scenario. He said what would happen if a CHinese court ordered Google to remove Taiwanese sites from its index? Or it could happen that an Iranian court ordered Google to get rid of lesbian and gay sites from its index. What would Google do then? The fact is, Geist said, each country has its own law. Moreover, the local laws for content varies vastly from country to country. And because of that, there is a good chance and rulings like this might lead to conflicts. Should We Then Label Google As The Loser? But before we paint Google as the definite loser in this legal battle, we should pay heed to what Geist has said. He said that he believed that the court’s decision actually granted the search engine giant more authority and power. Geist said that when it came to internet jurisdiction, people must understand that things are different. If the court had exercised some restraint and limited the scope of its orders then it would have lead to something better. Something better like more global respect of the law. It would have also lead to an increased amount of effectiveness on part of judicial decisions. But this decision, Geist says, has not done that. The temptation on part of the court to assert its jurisdiction over all online activities. And after giving the decision, leaving the involved parties to sort out all the mess along with potential conflicts. Geist had plenty of other things to say as well. He said that the Supreme Court of Canada had inadvertently lent its hand and support to more potential global takedowns. The Supreme Court of Canada, knowingly or unknowingly, had also vested an increased amount of power in online intermediaries. Geist warns that these internet intermediaries may one day decide which laws to follow in the online world. Decisions like the Canadian court’s will only increase the process and give rise to these intermediaries playing the role of arbiters. What can Google do now? Right now, it can’t do much. What it has done till now is enough for some experts. But the exact repercussions of the ruling and Google’s reaction to it remains uncertain. Only time will answer such big questions about Google’s future actions and potential consequences of the court’s decision. A lot of individuals and entities will jump into the foray and will test the limits and scope of the law. As far as Google’s response goes, this court ruling will also test the company’s resolve.